Want to stay hydrated and also look good? We know comfort is key. That’s why our belt has been designed to wrap neatly around your waist for a bounce free running experience. Whether you’re a casual walker or runner just trying to keep fit, a hiker, climber or a serious competitor it’s important to be comfortable. The non roll adjustable belt is very comfortable even on hot days. Two 6.5 Oz water bottles hold the proper amount of fluids to keep you going. Made of high quality BPA free plastic, they are designed with an angle for grabbing a sip on the run. 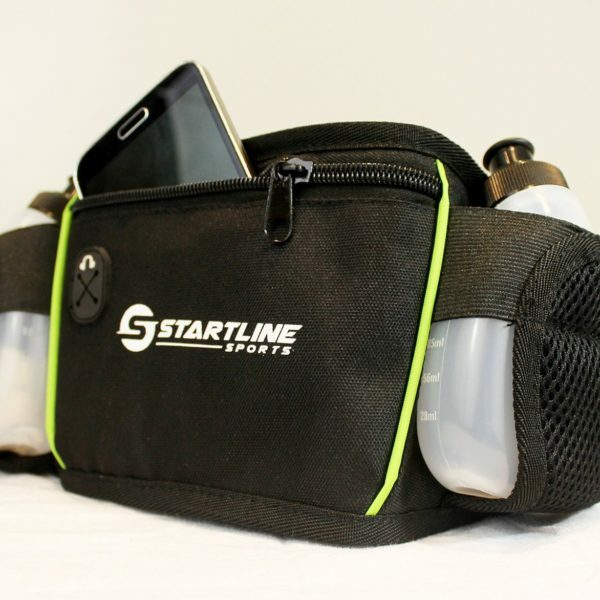 Take your playlist with you and keep your smart phone or MP3 player safely stored in the front pocket. Just plug in your headphones through the handy wire port and away you go. – The belt will comfortably hold most smartphones from iPhones up to 6 to Samsung Galaxy. Keep your credit cards, cash and ID’s stored safely. This will ensure you don’t lose them and give you the peace of mind that you’ll always have what you need. If you don’t love the belt, we’ll give you your money back. That’s our 100% money back guarantee. It’s risk free, order yours today!